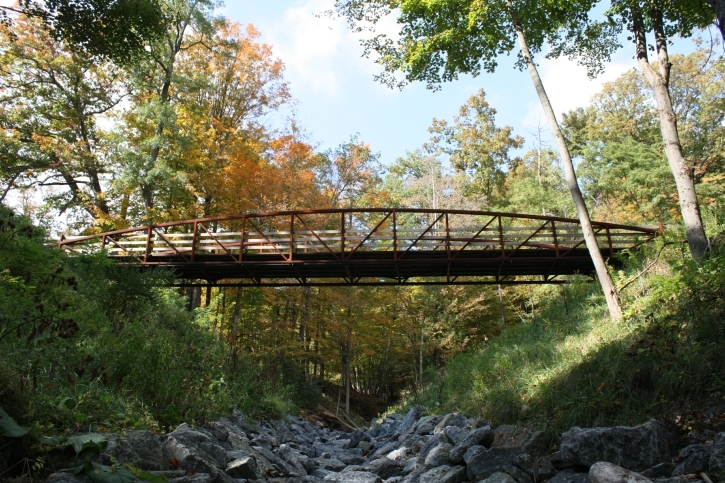 This bridge was completed in 2011 and provides access to Hyde Hall from Tin Top through its Mill Road entrance. The existing culvert, which replaced the original bridge in the early 20th century, washed out in June 2006. The current bridge was modeled after an original 1824 drawing of a proposed bridge at the Hyde estate in Cheshire, England. The bridge now acts as the main entrance to the Hyde Hall grounds.